Have you abandoned making use of internet Banking platform because, you lack Hardware token. The very moment has come, for you to still make use of that abandoned internet banking with the newly introduced token in form of USSD code. 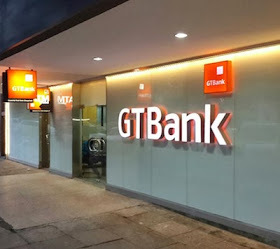 Now, don't you have internet banking token to complete your bank transactions, you can simply get it by just dialing a USSD CODE on your mobile phone, which is associated with the bank account you have with GTbank. ==>1. Dial *737*7# on that number that is associated with your GTBank account. ==>2. You will be required to enter your NUBAN Account Number, so enter that once it is required. ==>3. Enter the very last 6 digits of your GTBank ATM Card. ==>4. That's all, the Token code will now be generated for real. Note: Anytime you generate a code for your transactions, #20 Naira will be deducted from that very account, you are using. The time validity for each code generated is 60 seconds. WE LOVE COMMENTS... Tells what you think about this update.